"Angela was there for me from the beginning and fought for me beyond my expectations, I cannot thank her enough!" Phoenix family law is the area of practice that primarily covers divorce, child custody and child support in Maricopa County, Arizona. Divorce also covers specific areas such as property division, legal separation and spousal maintenance which people usually call alimony. The ever changing Arizona Revised Statutes that focus on family law contain a large volume of laws that govern the areas of family law. Call an Enholm Law, PLLC Phoenix Family Law attorney today to arrange a free consultation to discuss the specifics of your case. Enholm Law, PLLC was founded on the fundamental principle that every person who has a case before the courts in the state of Arizona should have access to compassionate, affordable, reliable and aggressive representation in the areas of divorce, child custody, as well as other areas of law that are normally handled by a Phoenix Lawyer. Enholm Law, PLLC does not discriminate against anyone based on age, race, gender, sexual preference, financial background, religion or lack of religion when it comes to protecting your rights before the courts in Arizona. The Enholm Law motto, We Take Sides...Yours, means that we are providing excellent communication with our clients, comprehensive case strategies and affordable legal services with easy payment plans.Call (602)889-6273, or click here to arrange for a free initial case evaluation with an Enholm Law Arizona Attorney today. We have represented a wide variety of clients, from all walks of life, helping them to manage their expectations in legal matters while protecting their rights and aided in solidifying their physical, mental, emotional and financial future so they may move on with their lives once their involvement with the courts was over. Many of our clients never imagined that they would require an Arizona Divorce Attorney, Arizona Family Law Attorney and certainly never thought they would be able to afford one if the need arose. Contact Us Sign up for our newsletter Receive a copy of our FREE Arizona Divorce Guide! We work together with the client to achieve the client’s objective. We take on a team approach in the office to optimize results. We strive to meet the legal needs of our community. Divorces in Arizona are controlled by statute. In Arizona, there is a 60-day “cooling off” period from the time the Petition for Dissolution was properly served or the date of a proper acceptance of service. Legal Separations are controlled by statute. Many of the same statutes, rules and case law that apply in a dissolution or divorce apply in a legal separation. Enholm Law provides a wide array of document preparation services for your family law issues. There are many variables that go into child custody. The focus of the Courts will be what is in the “best interest” of the children. There are over a dozen factors the court looks at, we wil help you cover these in order to win your case. Meetings arranged in the Phoenix area for your convenience. You will receive a comprehensive plan that both you and your attorney understands. You will receive bi-weekly calls concerning the status of your case. All of your calls will be returned within 24 hours. You can expect to receive a clear fee structure that is based on an hourly or flat fee model. We promise ongoing training for all of our legal staff on the most recent laws and statutes surrounding your case. Call (602)889-6273 to schedule your first free consultation with Angela Enholm to discuss the specifics of your case today. At Enholm Law, PLLC, we pride ourselves on having attorneys that deal with the client problems when the client needs us and not when it is convenient for the divorce attorney. First, find someone that you can get a hold of if you need them. About 50% of our clients who have dealt with another firm state their number one complaint was they could not get a hold of their attorney. Second, find someone that you like and can relate to. Yes, your Phoenix divorce attorney is going to have to be good, competent, and get you what you want; however, if you are not able to relate to them, communication barriers will form and can hinder your overall case results. At Enholm Law, PLLC we offer a free consultation so that you can get to know the Firm and our philosophies. This provides our clients with an opportunity to find out why we are the best fit for them. Third, a divorce lawyer's case load to support staff ratio can directly affect their time allocation to your case. If the attorney has 2 clients there may be a good reason for it and you should follow up with some hard questions to decide if the firm can handle your case. Similarly, if they have 150 clients they may not have the resources to give your case the attention it deserves. Our Phoenix divorce attorneys have small caseloads, which allow them to adequately litigate, or settle your important legal issues. Additionally, our client’s primary contact is their attorney, not a paralegal or legal assistant, so that hard questions can be answered quickly and immediate action can be taken. Fourth, ask them how much your case is going to cost. Divorce lawyers hate this question and for some reason the legal industry is one of the few in which consumers rarely get a firm quote. For example you would not hire a contractor to build a house if he told you he did not know what it would cost but needed a bunch of money upfront and would call you if he needed more. Although I agree that not all cases can be done on a flat fee, an attorney should have an average or ballpark figure so that you fully understand the costs involved. At Enholm Law, PLLC, we provide great legal representation and counseling to our clients. We offer flat fee, and hourly fees that fit our client’s needs. Although this list could go on for days the importance is to make sure you understand what the law firm that you hire is going to deliver and what they require from you. Parenting time is simply the time each parent has to spend with their children for visitation. The court attempts to make rulings that provide equal, meaningful and frequent contact. Matters such as the distance between the two homes are taken into account by the court. The court always focuses on the bests interests of the child as outlined in ARS 25-403 Best Interest of the Child. For the Arizona Family Law procedures we follow concerning parenting time at Enholm Law, PLLC, please read our full article on Phoenix Parenting Time Attorney. Legal decision making about who makes all of the important decisions for your child. Arizona Family Law offers three possible scenarios for this. These could be joint legal decision making, sole legal decision making or joint legal decision making with one parent having the final say. The court does make every attempt to encourage both parents to be involved in this process and will often mandate counseling, mediation or high conflict resolution classes to help parents who are at odds over this area. The Phoenix family law standards we follow can be found in our article entitled Phoenix Legal Decision Making Attorney. At Enholm Law, PLLC, we provide great legal representation and counseling to our clients. We offer flat fee, and hourly fees that fit our client’s need. We believe in a free consultation to make sure our clients are comfortable with our plan. We develop a comprehensive legal and life plan so that both you and your Phoenix Divorce Attorney have the same goal and a timeframe that it must be achieved within. Angela Enholm was recognized for quality of service, responsiveness, value, and communication with a Lawyers.com Client Distinction Award. 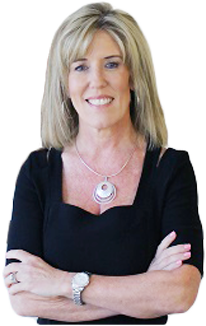 Angela will focus four specific areas including: support maintenance (alimony), property division, community waste, and child custody. The court will spend a great deal of time on dividing community property, finances, and debt during the course of a divorce trial in Arizona as well as making provisions for any children that are common to the couple. By concentrating on these four areas, we are able to form a solid case that will yield to the best results. 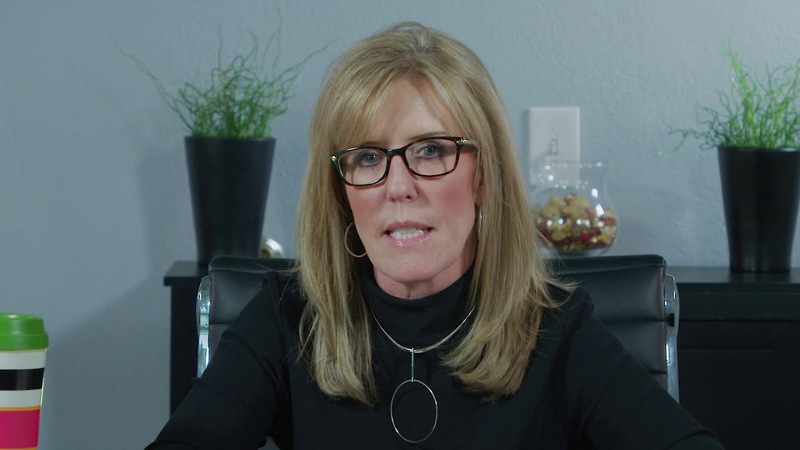 Contact Enholm Law, PLLC today at 602-889-6273 to schedule a free consultation and you will see why Angela is the right Phoenix Divorce Attorney for you. * Note: our ethical standards do not permit us to give legal advice or do impromptu consults over the phone, but we will accommodate your schedule to meet with you in person. This website is regulated by the Arizona rules of professional conduct.